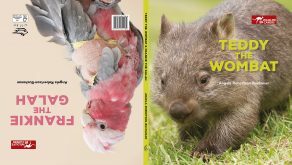 Both Teddy the wombat and Frankie the galah were found alone and in need of help. They were rescued by passersby and taken to wildlife carers, who lovingly took care of them before releasing them back into the wild. These are their stories.